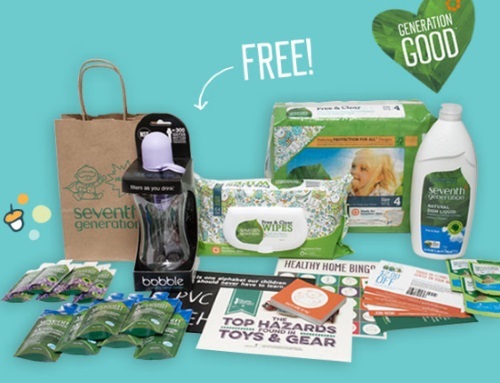 Seventh Generation is giving out Healthy Baby Home Party Kits! Log into your Seventh Generation account to see if you qualify for this. I got the email, but do not have a baby or kids so it wasn't available to me. If you do qualify it will be available on your dashboard. They will select up to 2000 party hosts by early June for parties this summer. There are 2000 kits available. Kits include education content from Healthy Child Healthy World, a fun game for sharing tips and Samples and coupons from Seventh Generation, bobble and other partners!